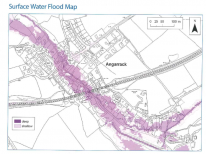 The purpose of this plan is principally to alleviate the effects of flooding from the Angarrack river and surface water run-off, for residents of 3 properties in Hatch’s Hill and several properties in Riverside. Copies of this flood plan will be made available to all affected residents and holiday homes for the benefit of guests. The main risks are flooding from Angarrack River via its Northern tributary and from surface water run-off when the drains cannot cope. This flood plan deals with these threats. Some surface water drains discharge into the river, the level of which can rise quickly during long periods of heavy rainfall, preventing the surface water dispersing and putting several properties at risk. Debris catcher installed on upstream side of culvert. CCTV installed on upstream side of culvert and monitored by the EA. The penstock gate on the culvert is normally closed to prevent flows into the river. Volunteer Flood Wardens will monitor the river and culvert and report issues to the EA. Riparian owners have been advised of their responsibility to keep the river clear. Road drains cleared annually and also when necessary. Volunteer Flood Wardens will monitor the drains and report any blockages to Highways. Additional drains installed on Hatch’s Hill. Extend the drain pipe in the river, by the road bridge, to increase capacity for surface water to drain away. Restore the ’throttle’ device on the Northern tributary, to slow down excessive flows. road bridge, to increase capacity. for nos. 2 and 3 Hatch’s Hill. During periods of expected heavy or prolonged rainfall, the following procedures will be followed. A 10 Point Household Flood Action Plan has been provided to all households at risk. 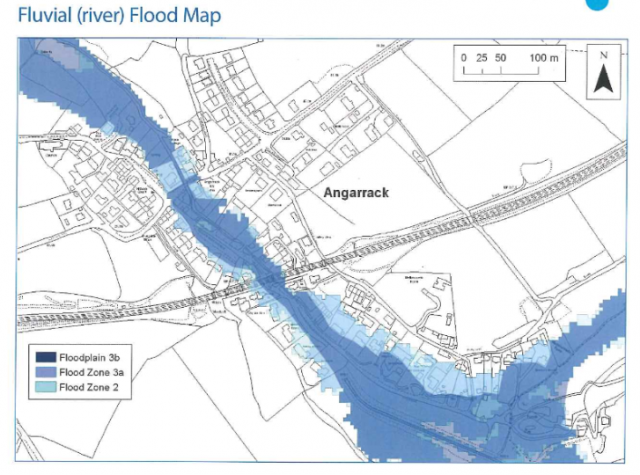 Copies of this Flood Plan will be supplied to all households at risk. Flood Wardens will monitor the state of the river and surface water and cascade warnings as necessary. responders such as Fire and Rescue, Highways, Police, Environment Agency, Western Power and Cornwall Council’s Emergency Planning as necessary. To man any affected roads to stop drivers and advise them not to proceed, until the emergency services take over. To liaise with the Emergency Services on their arrival and during the event. If there is a need for a designated rest centre, Angarrack Community Centre/Methodist Church will be used. To consult with agencies and report issues. To ensure drains/gullies are clear - contact Cornwall Council if not. To ensure drains/gullies that effect the area are kept clear of debris and report any problems to the EA or CC. This is a working document and willbe reviewed on a regular basis, not less than annually. The purpose of the flood plan is to alleviate the effects of flooding from the Angarrack river and surface water run-off caused by heavy rain. 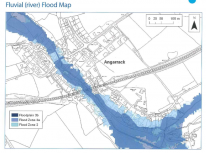 A Residents Flood Group has been set up to implement the flood plan and liaise with Cornwall Council and the Environment Agency (EA). Members of the Flood Group alsso act as Flood Wardens to support the community in the event of a flood alert or flood. A debris catcher is installed on the upstream side of the culvert. CCTV is installed on the upstream side of culvert and monitored by the EA. The Environment Agency currently keeps the culvert clear & strims the river bank twice a year. Volunteer Flood Wardens monitor the river and culvert and report issues to the EA. Riparian (river) owners have been advised of their responsibility to keep the river clear. Road drains are cleared annually and also when necessary by Highways. Additional drains have recently been installed on Hatch’s Hill. Raising awareness within the community when the risk of flooding is likely. Flood Action Plan has been provided to all households at risk and support them with its implementation if requested. Providing copies of the Flood Plan to all households at risk. 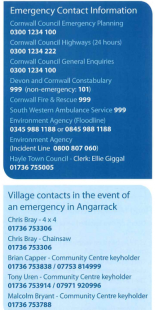 To alert the Emergency Services and other responders such as Fire and Rescue, Highways, Police, Environment AGENCY: Western Power and Cornwall Council's Emergency Planners as necessary. To monitor any affected roads to stop drivers and advise them not to proceed, until the emergency services take over. 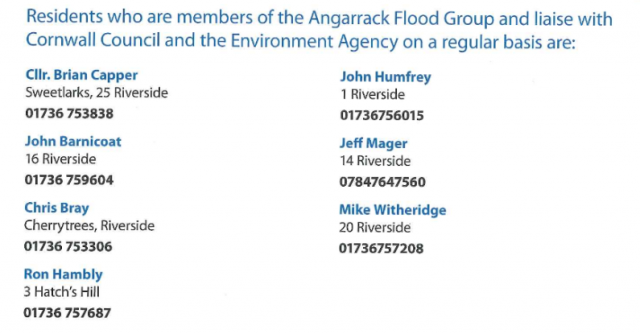 Following a meeting of a focus group comprising members of your local flood group, the following 10 things have been identified as the things that you, as an Angarrack resident can do to maximise your resilience to flooding. Ensure that you have made arrangements for sand bags or other temporary protection to be available to you at short notice. Investigate the purchase of ’Property Level Protection’ such as flood doors/barriers, pumps, non-return valves and air brick covers. Ensure that you understand and are content with your level of insurance cover for flooding. Register with the EA to receive flood warnings for your property and monitor the media and internet for weather alerts. 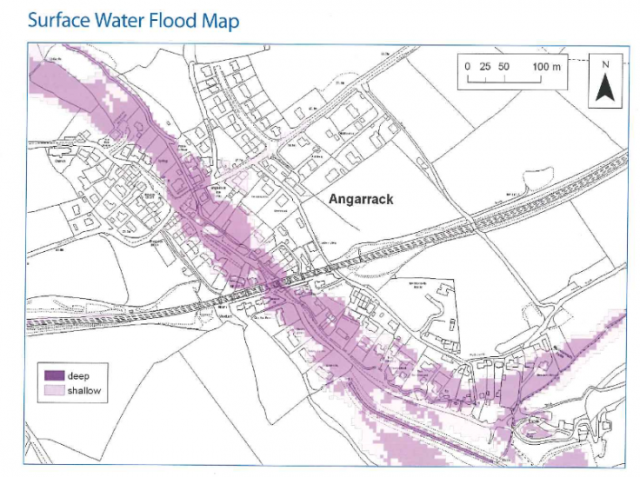 Make yourself aware of the Angarrack Community Flood Plan, how it applies to you and how you may be able to support it. Keep a list of important telephone and policy/account numbers in a place that you can easily find them. Find out the most likely causes of flooding to your property and the physical trigger signs that may indicate a flood is possible. Find out who to contact to report potential causes of flooding in your community such as blocked drains or watercourses. Understand the dangers to you and those who depend on you associated with flooding and flood water. Lobby local politicians and authorities to carry out necessary works to minimise flood risk and force riparian owners to meet their responsibilities.